(L) Low Power: Has lowest VSWR for precision laboratory measurement needs. 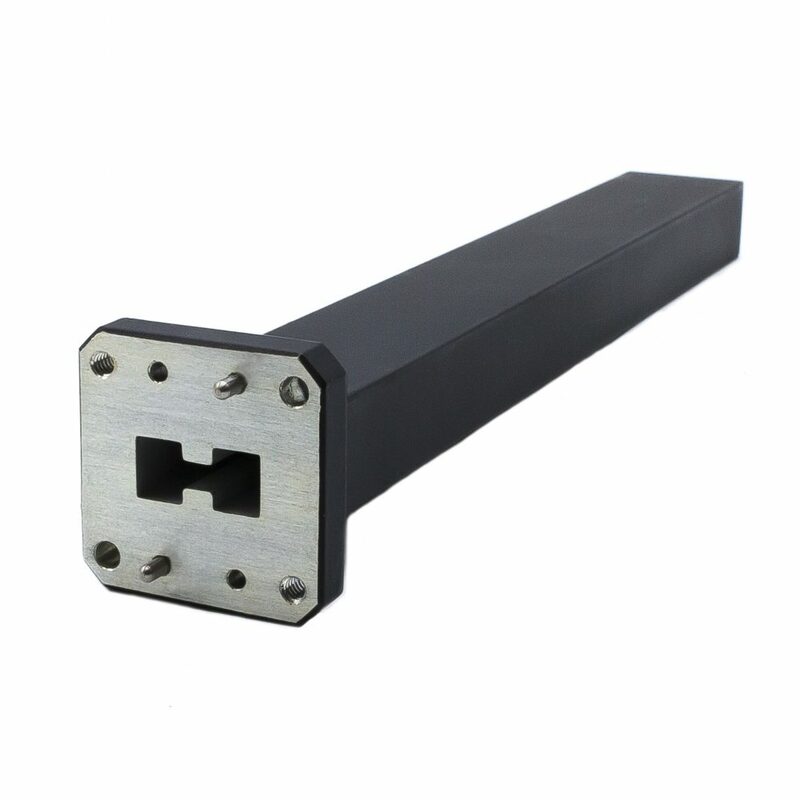 (LS) Low Power with Sliding Load Element: Adjustable for over more than half a guide wavelength at the lowest frequency. Optional scale or vernier may be provided. (M) Medium Power: Higher power than standard laboratory equipment but not high enough to require external fins. (X) High Power: Finned for passive cooling. (E) Extra High Power: More finned for passive cooling and or auxiliary forced-air cooling in customer’s installation. 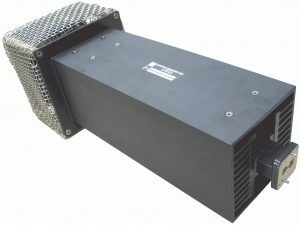 (F) Fan-Cooled (Power >1 KW): Provided with an integral air fan for forced-air cooling and a cord or connector for AC or DC power. (WJ) Water or Liquid Cooled: Built-in coolant jacket cools the internal RF absorber. 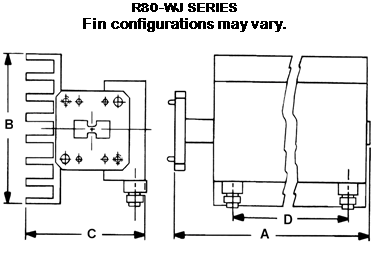 (W) True Water or Liquid Load: Water or coolant itself is the actual absorber of input RF power. 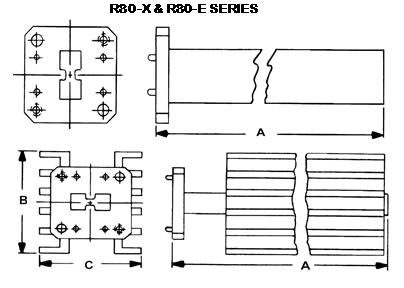 Liquid cooled models (W) & (WJ) operate at typical inlet coolant pressure of 10 PSIG, flow rate of 0.5 gallon per minute for every 1 kW of CW or average input RF power and inlet coolant temperature of 10 to +65°C. Coolants may be ordinary tap water, ethylene Glycol/water mixture, PAO etc. Standard flanges are cover type with alternate tapped and clearance holes, MEC-C1 Series. Other flanges may be requested. 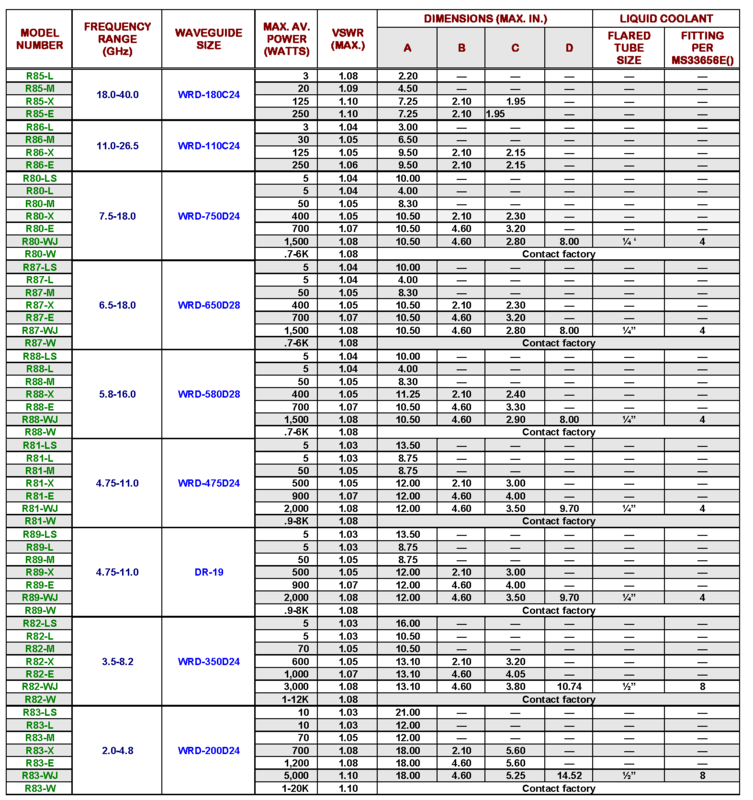 Finish is chromate conversion per MIL-C-5541, Class 3. Paint is epoxy enamel; color is gray for the (L) & (LS) series and black for all others. A power sampler can be incorporated in any of the terminations. Sampling levels range from 30 to 50 dB with a typical flatness of ±0.5 dB over an octave band. (1) To add a power sampler, add the suffix “-PS” to the model number. (2) Standard models are listed in the table above. 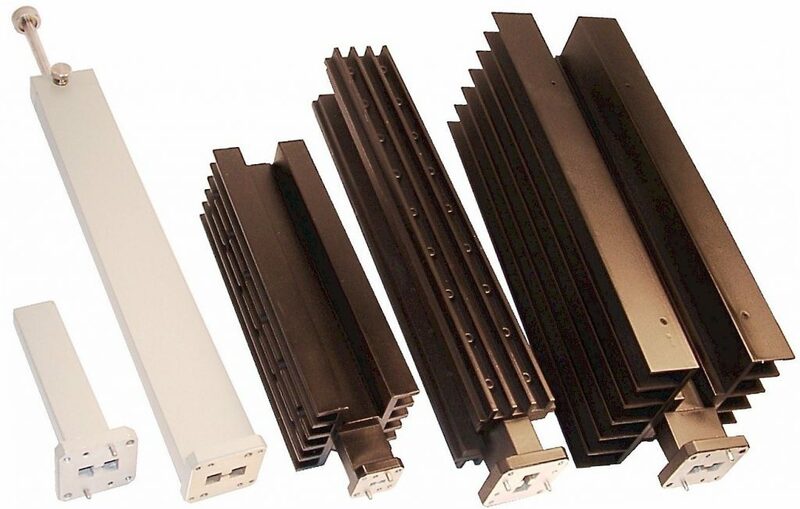 For terminations with custom size, heat sink, cooling fan, or other options, please contact M.E.C. All customer designs are welcome.